National Care Association are delighted to be working with British Gas Heat Networks. Here are the slides for the Birmingham Symposium. Sky has developed tailored packages for the care home sector. 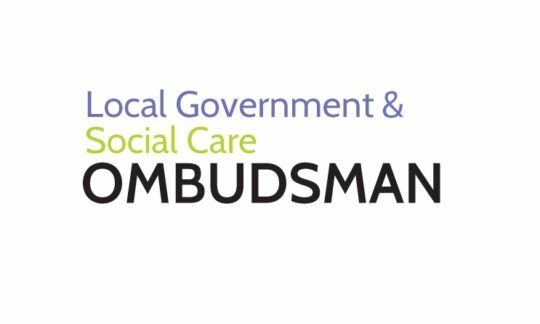 The Local Government and Social Care Ombudsman has issued a good practice guide which shares lessons from complaints to help adult social care providers improve their services. Based on the Ombudsman’s lengthy experience of investigating complaints about independent providers, the guide gives real-life examples of the common problems the organisation sees – and offers some ways to avoid the pitfalls. Common issues the Ombudsman sees in its complaints include a lack of clear information about fees, charges and contracts, problems with billing and invoices, ensuring people’s belongings are looked after properly, and dealing with challenging behavior from friends and relatives. “Since 2010 we’ve been the only independent route to redress for the thousands of people receiving care from independent providers. “In that time, we have investigated thousands of complaints, and have upheld a high proportion of those we investigate. “And although we see poor practice, we also see good examples of care providers making practical changes as a result – and it is this good practice we want to encourage. Care providers can learn a lot from the complaints we receive and resolve, and by working together hopefully we can improve the system for everyone. The report also shows how the Ombudsman works in partnership with care regulator, the Care Quality Commission and includes a copy of the single complaints statement, Quality Matters, which was produced in partnership with organisations including HealthWatch England last year. The statement helps adult social care providers set out what service users, their families and representatives can expect when making a complaint. Since the Ombudsman gained the jurisdiction to investigate independent care providers, it has investigated more than 2,000 complaints and is now upholding 69% of those investigated. This is higher than the overall uphold rate for all adult social care complaints (61%). The Ombudsman remedies individual injustice and improves services. Where its investigations have found fault, the Ombudsman makes recommendations to remedy that fault. This can come in the form of, for example, an apology, a financial payment or a reassessment of services. Ombudsman recommendations may also include wider improvements to services including revisiting training, policies and procedures. The Local Government and Social Care Ombudsman looks at individual complaints about local public services and all registerable social care providers throughout England. With more than 40 years’ experience, we investigate and resolve more than 11,000 complaints every year.